OTTAWA – April 18, 2012 – If you’ve bought a new cell phone recently, then you know saying goodbye to your old one is often hard to do. After all, it has given you years of service and helped to create lasting memories of connecting with friends and family. This Sunday’s Earth Day 2012 is the perfect opportunity for Canadians to give their old cell phones the send-off they deserve and ensure they don’t end up in Canada’s landfills. Recycle My Cell – Canada’s free cell phone recycling program – makes it easy for Canadians to find out how and where to safely and responsibly dispose of their used cell phones, smartphones, pagers, wireless air cards, batteries, chargers, headsets and other accessories. Additionally, a donation to participating charities is made for each device returned through the various recycling programs. The bilingual Web site – www.RecycleMyCell.ca and www.Recyclemoncell.ca – allows consumers to simply enter their postal code to locate the 10 drop-off locations closest to them where their devices will be accepted, regardless of brand or condition. If you are unable to visit one of the convenient drop-off locations in person, the Web site also provides printable postage-paid labels to use for mailing these devices. There are more than 3,500 Recycle My Cell drop-off sites across Canada. Since the launch of the program in 2009, more than 875,000 devices have been recovered for recycling or refurbishing. That represents 175 tonnes of e-waste that has been diverted from Canada’s landfills. Recycle My Cell was created and is maintained by the Canadian Wireless Telecommunications Association (CWTA) in conjunction with cell phone carriers and handset manufacturers who have come together to raise awareness about the importance of cell phone recycling. The program’s partners include: Bell, Dell Canada Inc., FCM Recycling Inc., GEEP Inc., GREENTEC, LG Electronics Canada, Inc., Lynx Mobility, Mobilicity, Motorola Mobility, MTS, Nokia, Research In Motion, Rogers Communications, Samsung Electronics Canada Inc., SaskTel, Sims Recycling Solutions, Sony Mobile Communications, TBayTel, TELUS, Videotron, Virgin Mobile Canada and WIND Mobile. Visitors to the Web site will also find some e-waste facts and figures, including links to provincial e-waste management sites. There is also a downloadable brochure and a series of frequently asked questions, as well as information about how consumers can clear their device of all personal data before dropping it off for recycling. The site also provides information about how organizations can host a Recycle My Cell drop-off location as a valuable service to their community. Site visitors with any additional questions can contact a representative by e-mail atinfo@recyclemycell.ca, or call the toll-free support number at 1-888-797-1740. • More than 875,000 wireless devices have been recovered through the Recycle My Cell program. 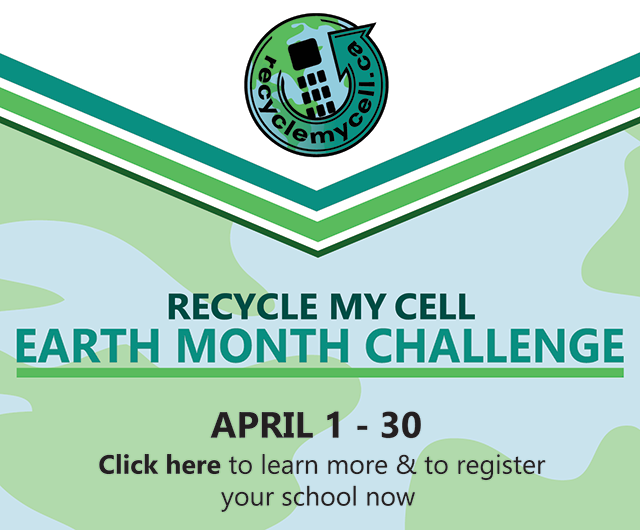 • RecycleMyCell.ca has welcomed 88,842 visitors. • Those who have used the Recycle My Cell program rated a high level of satisfaction with using the program. • There are 26 million cell phone subscribers in Canada. • Approximately 96% of the materials in an average mobile device are recyclable. • All of the processors involved in the Recycle My Cell program are ISO certified or verified to be operating in conformance with the requirements of the Electronics Recycling Standard (ERS), so they all have environmental management systems in place that guarantee accountability and knowledge of the environmental impacts associated with recycling.